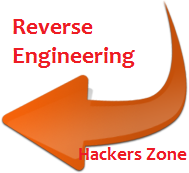 Hello friends, lets continue our tutorial on Reverse Engineering. Today i will teach you assembly language basic that are necessary for learning reverse engineering. As we all know assembly language is very important for reverse engineering and we must know, what are registers and which register serves for what. How the assembly language instruction work and how can we relate them with normal high language coding( C, JAVA, VB, etc.) to hack any Software. So friends, lets start our reverse engineering hacking class part 2.. Assembly language is a low level or simply called machine language made up of machine instructions.Assembly language is specific to processor architecture example different for x86 architecture than for SPARC architecture. Assembly language consist of assembly instructions and CPU registers. Isoftdl(Lokesh) means I will explain my tutorial considering x86 architecture... Ahhha... From where i start explaining to you ... assembly language is too big topic... I think i have to tell only what you need for reverse engineering.. So i start from CPU registers. First of all what are registers? Most of Computer Engineering and Electronics Engineering guys knows about them but for others, Registers are small segments of memory inside CPU that are used for storing temporary data. Some registers have specific functions, others are just use for some general data storage. I am considering that you all are using x86 machines. There are two types of processors 32 bit and 64 bit processors. In a 32 bit processor, each register can hold 32 bits of data. On the other hand 64 bit register can hold 64 bit data. I am explaining this tutorial considering that we are using 32 bit processors. I will explain the same for 64 bits in later classes on isoftdl and hackingloops. All these registers serves for different purposes. So I will start explaining all of them one by one for a more clear and accurate understanding of register concepts. I am putting more strain on these because these registers are called heart of reverse engineering. EAX register is accumulator register which is used to store results of calculations. If any function returns a value its stored into EAX register. We can access EAX register using functions to retrieve the value of EAX register. Note: EAX register can also be used for holding normal values regardless of calculations too. The ESI and EDI relied upon by loops that process data. The ESI register is the source index for data operation and holds the location of the input data stream. The EDI points to the location where the result of data operation is stored, or the destination index. The 'E' at the beginning of each register name stands for Extended. When a register is referred to by its extended name, it indicates that all 32 bits of the register are being addressed. An interesting thing about registers is that they can be broken down into smaller subsets of themselves; the first sixteen bits of each register can be referenced by simply removing the 'E' from the name. For example, if you wanted to only manipulate the first sixteen bits of the EAX register, you would refer to it as the AX register. Additionally, registers AX through DX can be further broken down into two eight bit parts. So, if you wanted to manipulate only the first eight bits (bits 0-7) of the AX register, you would refer to the register as AL; if you wanted to manipulate the last eight bits (bits 8-15) of the AX register, you would refer to the register as AH ('L' standing for Low and 'H' standing for High). 1. Stack Section - Where the stack is located, stores local variables and function arguments. 2. Data Section - Where the heap is located, stores static and dynamic variables. 3. Code Section - Where the actual program instructions are located. Save this program as helloworld.c and compile it with 'gcc -o helloworld helloworld.c'; run the resulting binary and it should print "Hello World!" on the screen and exit. Ahhah... It looks quite simple. Now let's look how it will look in assembly language. As you can easily figure out these instructions are similar to that of C program. You can easily note that flow of program is same. Off course it will be same as its a assembly code of same binary (exe) obtained from executing above C program. I hope you all like it. We will continue our discussion tomorrow where i will explain how to analyze assembly language codes for those binaries whose high level source code we don't have. A quick tip for all users how to learn assembly language better... Pick a already made code and generate its binary or exe file and now obtains the assembly code of that binary and try to relate assembly code with high language code. I guarantee that will surely help you to understand better as I always used to do understand things like these ways only. Hope you like the effort as I spend too much time to wrote this.